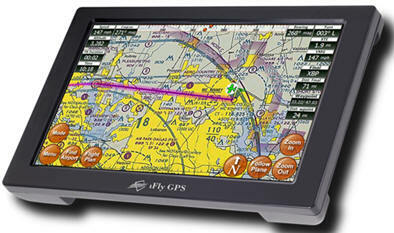 February 29, 2012 - Adventure Pilot began shipping its new premium GPS navigation device for general aviation pilots. The new iFly 720 builds on popular features from its little brother, the iFly 700. New features include sunlight readability, simple automated Wi-Fi Updating and iFly Streets. Plus premium hardware enhancements like a faster processor, more efficient memory and internal power capacitor position the iFly 720 for future developments and enhancement possibilities. Walter Boyd, President of Adventure Pilot, states ?The new iFly 720 gives iFly GPS a premium device benefiting pilots with extremely bright cockpits,? further noting that ?pilots will not want to miss out on our upcoming software updates later this spring.? Pilots with brighter cockpits will benefit from the iFly 720?s new advanced sunlight readable touch screen. Screen visibility is noticeably improved with the addition of a brighter 7? screen and further increased with today?s advanced sunlight technologies. Pilots using the iFly Streets navigation while in the car will also notice improved daytime visibility. The iFly 720 aims to offer pilots a rare blend of value and functionality in a high-priced premium device rket. Terrain Obstructions, Portrait Mode and Vertical Flight Planning are just a few teasers of what Adventure Pilot will be adding to the iFly 720 and its little brother, the iFly 700, later this spring. The iFly 720 revolutionizes its simple update process with a new automated Wi-Fi updating feature that will benefit every pilot. By simply connecting to a Wi-Fi internet connection, pilots enjoy a hassle free update process. Loaded with many custom install options, pilots can choose as much or little as data to update based on the time at hand. A pilot can simply update the Weather and TFR data within seconds for on-the-go awareness. This feature proves to be a promising asset to the iFly 720 in today?s wireless connected world. The iFly 720?s new Wi-Fi capability also adds additional expansion options to 3rd party devices and hardware. Traveling pilots can now easily go from the runway to the highway with the new iFly Streets road navigation program included on every iFly 720. iFly Streets delivers voice-guided, turn-by-turn driving directions and comprehensive travel information including a complete database of POIs, lodging, gas stations and more at no additional cost. Each iFly GPS is feature packed with high-resolution geo-referenced sectional maps, IFR Low En Route charts, Approach Plates with highlighted Special Use Airspace and more. Pilots have a full Airport Facility Directory, complete with public and private airports in a revolutionary simple to use format. The iFly 720 includes a universal suction mount, remote control, AC/DC power adapters and case. The iFly GPS also supports advanced features including output to an autopilot and live WX from 3rd party ADS-B receivers and more. The iFly 720 is priced at $749. Adventure Pilot LLC designs, manufactures and markets affordable general aviation solutions to inspire, inform and enable a community of passionate pilots to fulfill their desire for aerial adventures. The iFly GPS portable touch screen GPS provides unmatched situational awareness at an outstanding value. In addition, Adventure Pilot provides information on thousands of destinations and offers the aviation community online planning tools. Life is in the journey, it is the destinations you choose that determine your path. The iFly 720 adds premium features including Sunlight Readability, Automated Wi-Fi Updating, Street Navigation and more for only $749.